Jamin is one of the crisis services supervisors at NRS. He supervises NRS’ volunteers serving at the crisis center. 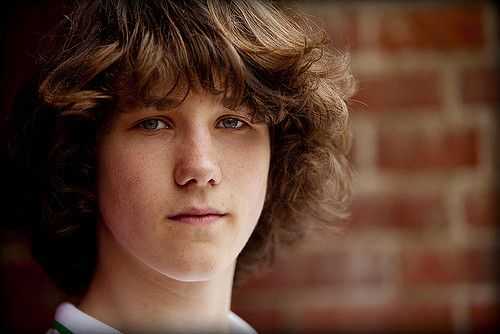 He recently remarked about the number of youth reporting instances of bullying. Youth contacting NRS may have a happy life at home, but school life may also be miserable because of bullying. October is National Bullying Prevention Month. To help youth that are suffering from bullying, included in this blog are resources to help victims of bullying protect themselves. The National Bullying Prevention Center (PACER) has templates for letters than can be sent to school administrators and staff to inform them that a student is being bullied. Find a copy of the template below. The government website StopBullying.gov lists the laws against bullying for every state in a clickable map. 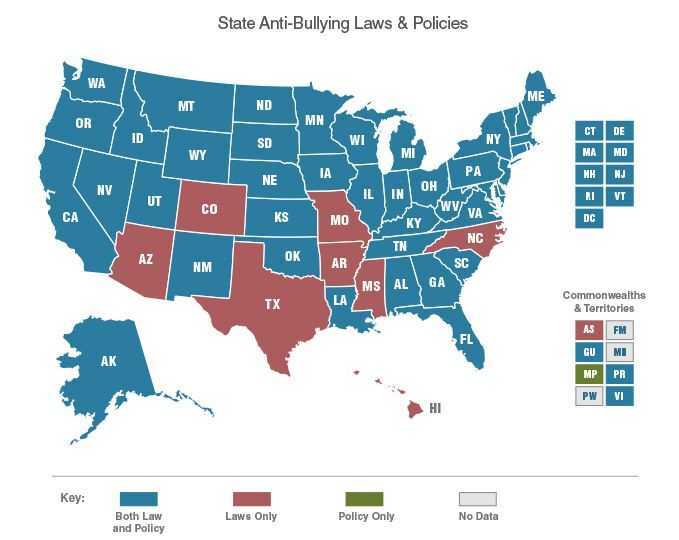 A youth can use the map to determine what the laws are in the area and how bullying is defined. PACER features a guide for youth that helps define bullying, shares the signs of bullying, as well as a “What If I’m Being Bullied?”? section. This tool helps youth create a plan of action to help protect them from bullying. Stomp Out Bullying is a leading anti-bullying organization for kids and teens in the U.S. 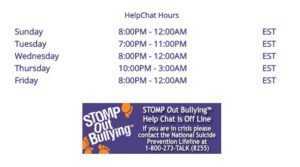 They operate an online chat for ages 13 to 24 for issues involved with bullying and cyberbullying. Trained counselors are available to answer questions. Services are available 24-7 to youth who are suffering from bullying, or who are dealing with a crisis. Trained crisis prevention specialists are available by phone, email or through NRS’ forum. This month, youth who are suffering from bullying are encouraged to reach out to resources that can help so that they are aware those lifelines are available year-round.